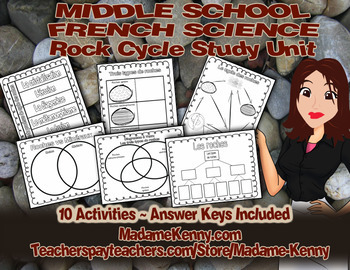 Our latest Print and Go product is Le cycle des roches, which was created for Middle School Science in French Immersion. Le cycle des roches was designed and tested in a French Immersion classroom! This French Immersion teaching resource contains interactive activities, notes, graphic organizer and a craftvity to engage and differentiate your learners! 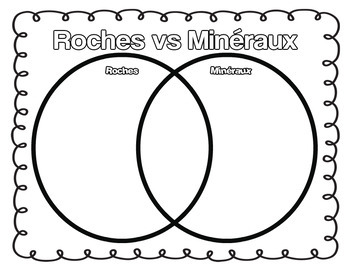 Les trois types de roches: Exercises à trous - Students are given key words and must fill the blanks in a reading passage about the three types of rocks. Artivité-Recherche: Les trois types de roches - Students create a craftivity by completing a research project about the rock cycle. My students complete the project about the three types of rocks, however I have included a non-titled version as well. 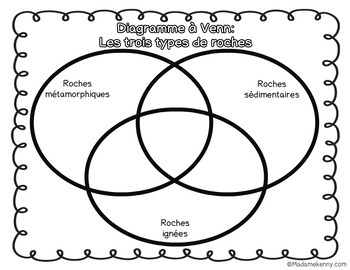 Diagramme à Venn : Les trois types de roches- Students may use this graphic organizer when working on their rock research. Vocabulaire vièrge- Teachers may wish to add vocabulary to this unit. I have provided a blank template which can be used throughout this unit. 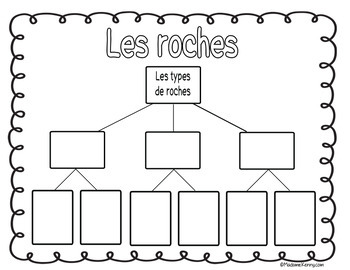 Diagramme à branches : Les types de roches - Teachers can go further into the classification of rocks with this graphic organizer. Students who need to go further can use this to research in more detail the rock classification system. If you're interested in any of the above French science Space Unit products, I have bundled them together HERE. You'll save $5.00 by buying the bundle. This product also uses graphics purchased from Studio Devanna.